This statue of Grant stands in Philadelphia’s Fairmont Park, at the intersection of Kelly Drive and Fountain Green Drive. It was sculpted by Daniel Chester French (the man who sculpted the statue in the Lincoln Memorial in D.C.) and his former student, Edward Potter. It was dedicated in 1897; President McKinley attended. 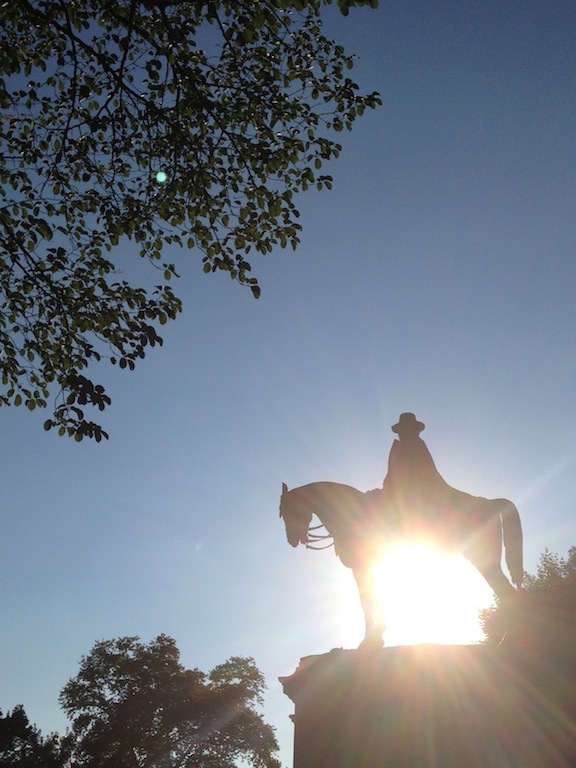 This entry was posted in Monuments and tagged monuments, Philadelphia, Ulysses S. Grant. Bookmark the permalink. 1 Response to General Grant, R.I.P. Chris, do you have any info regarding the whimsical question: “Woh’s buried in Grant’s toomb?” What was once an imposing monument, in New York, had fallen onto hard times by the time of my visit, in the 1980s.